Samantha Cristoforetti completed her secondary education at the Liceo Scientifico in Trento, Italy, in 1996 after having spent a year as an exchange student in the United States. In 2001, she graduated from the Technische Universität Munich, Germany, with a masters degree in mechanical engineering with specialisations in aerospace propulsion and lightweight structures. As part of her studies, she spent four months at the Ecole Nationale Supérieure de lAéronautique et de lEspace in Toulouse, France, working on an experimental project in aerodynamics. She wrote her masters thesis in solid rocket propellants during a 10-month research stay at the Mendeleev University of Chemical Technologies in Moscow, Russia. As part of her training at the Italian Air Force Academy, she also completed a bachelors degree in aeronautical sciences at the University of Naples Federico II, Italy, in 2005. In 2001 Samantha Cristoforetti joined the Italian Air Force Academy in Pozzuoli, Italy, graduating in 2005. She served as class leader and was awarded the Honour Sword for best academic achievement. From 2005 to 2006, she was based at Sheppard Air Force Base in Texas, USA. After completing the Euro-NATO Joint Jet Pilot Training, she became a fighter pilot and was assigned to the 132nd Squadron, 51st Bomber Wing, based in Istrana, Italy. In 2007, Samantha Cristoforetti completed Introduction to Fighter Fundamentals training. From 2007 to 2008, she flew the MB-339 and served in the Plan and Operations Section for the 51st Bomber Wing in Istrana, Italy. In 2008, she joined the 101st Squadron, 32nd Bomber Wing, based at Foggia, Italy, where she completed operational conversion training for the AM-X ground attack fighter. 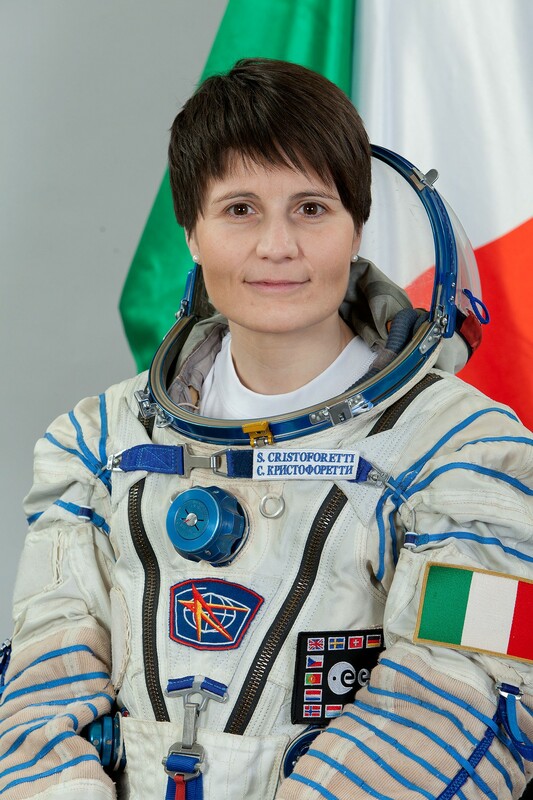 Samantha Cristoforetti is a Captain in the Italian Air Force. She has logged over 500 hours flying six types of military aircraft: SF-260, T-37, T-38, MB-339A, MB-339CD and AM-X. 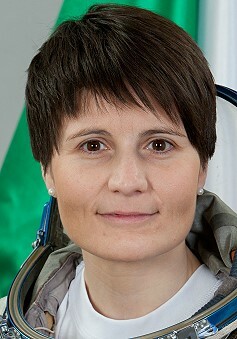 Samantha Cristoforetti was selected as an ESA astronaut in May 2009. She joined ESA in September 2009 and completed basic astronaut training in November 2010. Samantha Cristoforetti enjoys hiking, scuba diving, yoga, reading and travelling. Other interests include technology, nutrition and the Chinese language.